Ditch your plain old ham and cheese sanga and add a little Cuban flair to your lunchtime. If you watched the 2014 Jon Favreau movie Chef and wondered why on earth someone hadn’t yet bought the mouth-watering Cuban sandwich to Perth for you to consume that instant-wait no longer! 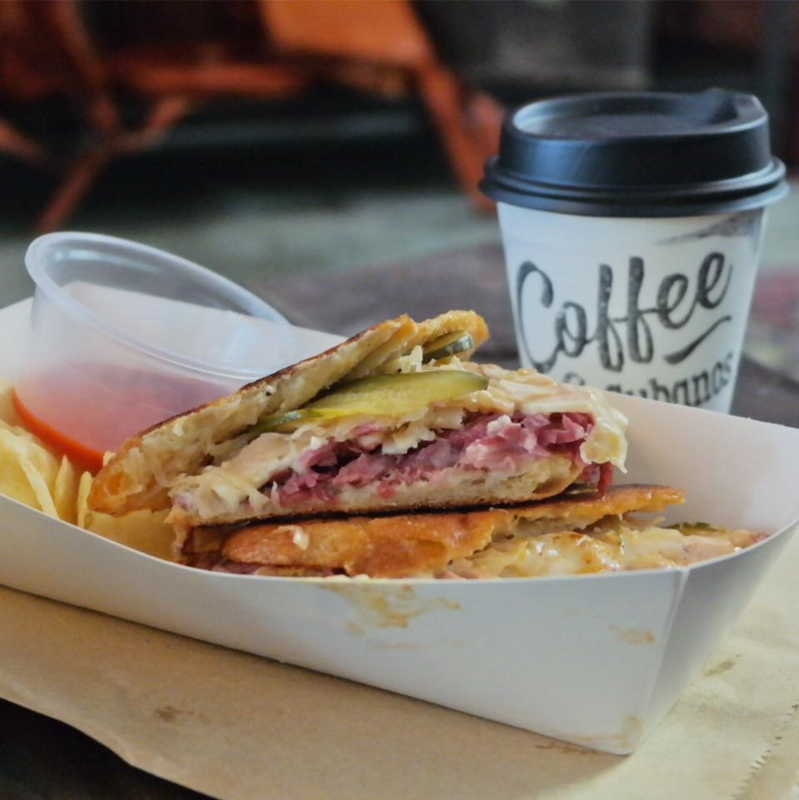 Coffee and Cubanos have mastered the art of the perfect grilled sandwiches that will fill that hole in your life… and stomach. Just a little way down Newcastle Street from the centre of Leederville is your new one stop sandwich shop. Coffee and Cubanos is a motorcycle haven and Miami-inspired Cubano-serving café, made easy to find by its white brick walls and motorbike just inside the door. The place is family run by Ewan MacDonald and his father Dave, along with the help of sister Keeleigh and friends. 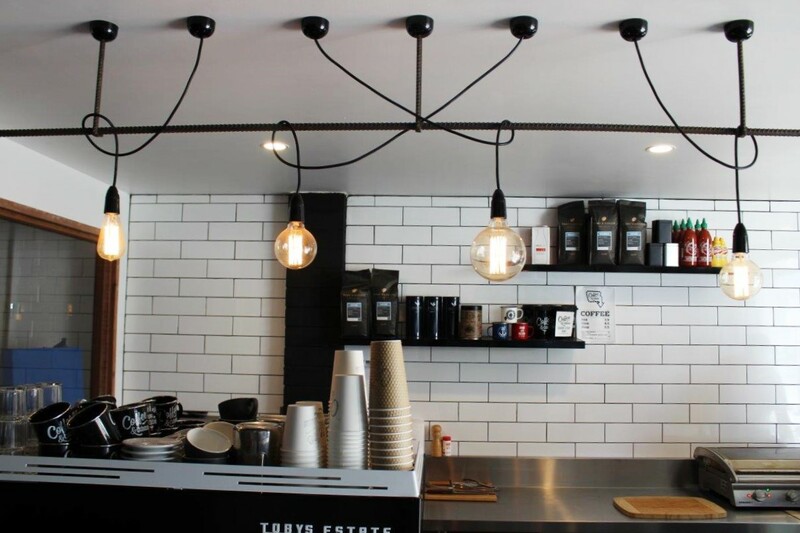 Coffee and Cubanos is not just a café, as it also serves as a co-working space with more than one business setting up shop within. Down the back is Billy Black’s Barbering Experience, complete with a leather chesterfield sofa for those who are waiting. 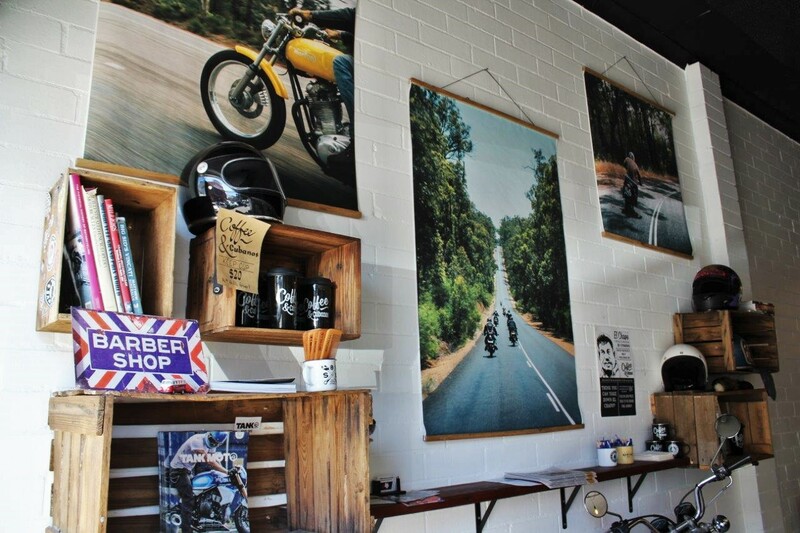 You can also check out their range of T-shirts of their own designs, mugs, men’s gifts and motorcycling gear, or simply grab one of their tables to sit around and enjoy your Cubanos and coffee. 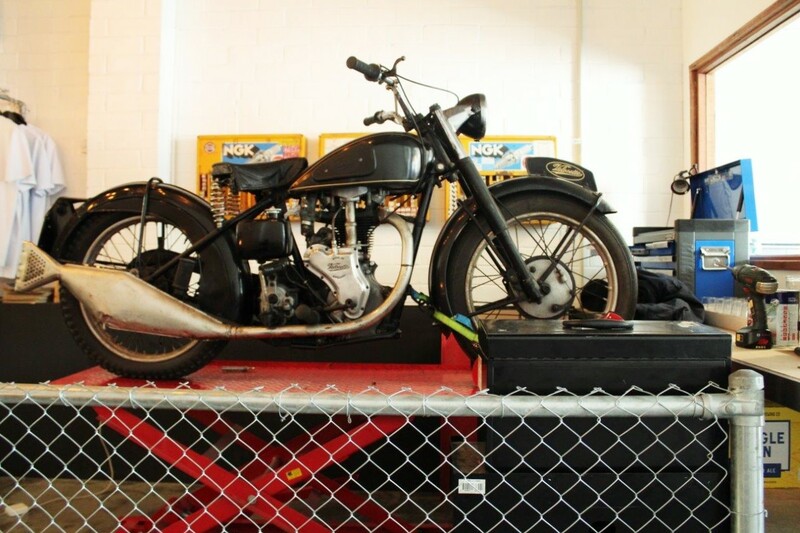 If comfy couches and café tables aren’t your thing, there’s always a couple of stools and a Castrol oil drum to sit at while checking out a motorbike magazine, or the actual motorbikes sitting throughout the shop. Coffee and Cubanos truly is the ultimate man cave. For those who don’t know (I had to Google), Cubanos are Cuban-style sandwiches. Their classic Cubano, the Castro, is made up of citrus marinated roast pork, ham, Swiss cheese, dill pickles and American mustard, all jammed into a nine-inch baguette and toasted. The ingredients are all local, the pork is grass fed, and the Cubanos are made fresh daily – available until sold out. Ewan’s favourite is the Reubano; a cross between a Cubano and a Reuben sandwich, this baguette is filled with corned beef, Swiss cheese, dill pickle, sauerkraut and secret sauce. Each sandwich is served up with chili sauce and crisps. If you’re on the run, that’s no problem, they do takeaway as well. 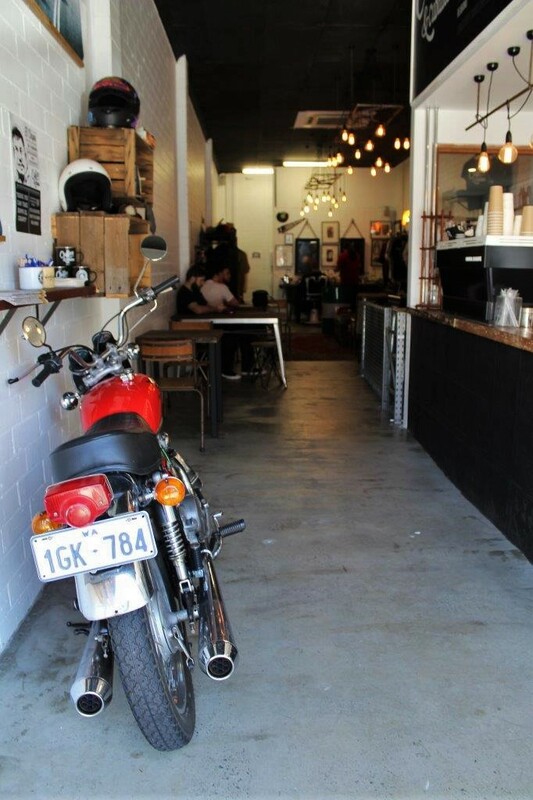 Also known as Spadille Garage, Coffee and Cubanos started off in West Perth as a garage for lovers of motorcycles, as well as a café. 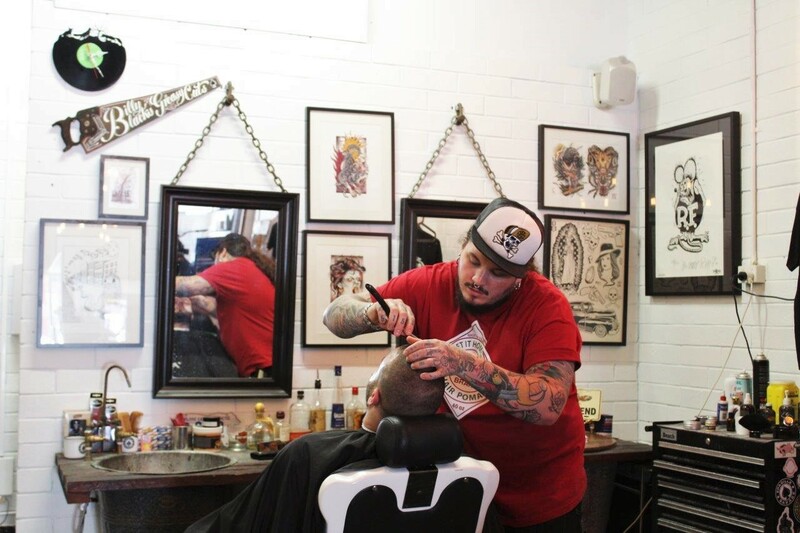 Two months ago they made the move to Leederville, not only to get more people through the door but also to create the opportunity for Ewan to bring Cubanos to the attention of us Perthians, inspired by what he had experienced on his travels in Miami and Bali. Ewan recognised the fact that no one really does Cubanos in Perth, yet they’re so popular in other places around the world. Now he’s filling the gap in our sandwich diets with the Caribbean island’s delicious grilled baguettes. Ditch your plain old ham and cheese sanga and add a little Cuban flair to your lunchtime (and maybe your hair too). Coffee and Cubanos is open every day, Monday to Friday from 7.30am and weekends from 8am. Make sure you check them out on their Facebook, Instagram and website. Hey guys, I’m James. I’m currently a full time student at UWA studying Marketing and Communications. My passion for what I study has also led me to start working as an intern for Perth Underground, so as to get some valuable experience. I’m also into blockbuster movies, rollercoasters, all sports and all food. Except salad.